Today is the first day in December, so a quick apology for not getting an update earlier! 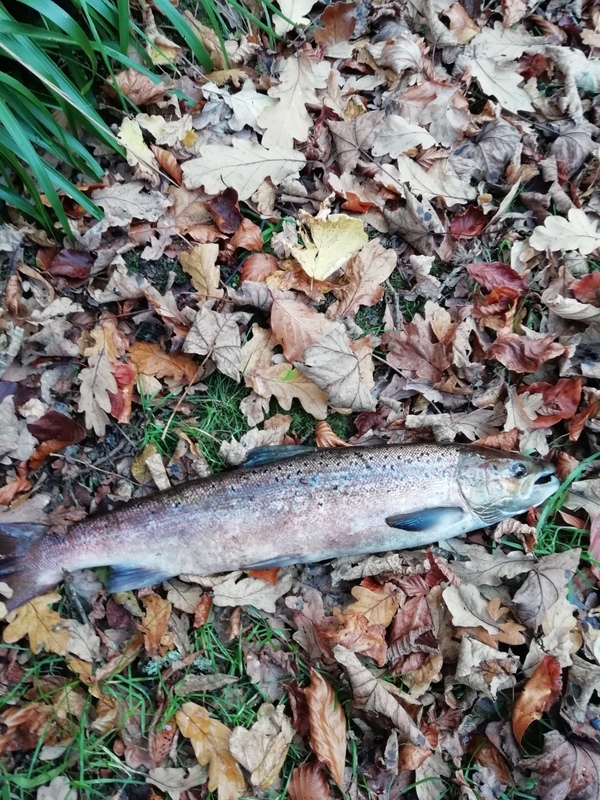 Bryan Anderson caught 2 salmon on the closing day, while the first reported salmon was caught and returned by Graham Halliday on the 25th October at the pool at Muckhart Mill using a size 1 copper mepps. Graham measured the fish at 72 cm which puts in the 6.5 – 7.0lb range and obviously pretty fresh. Inevitably as soon as the season closed the rains came and more salmon were seen coming into the river. As far as I know, only five salmon and seven sea trout were caught and returned this season, which is a disappointment. 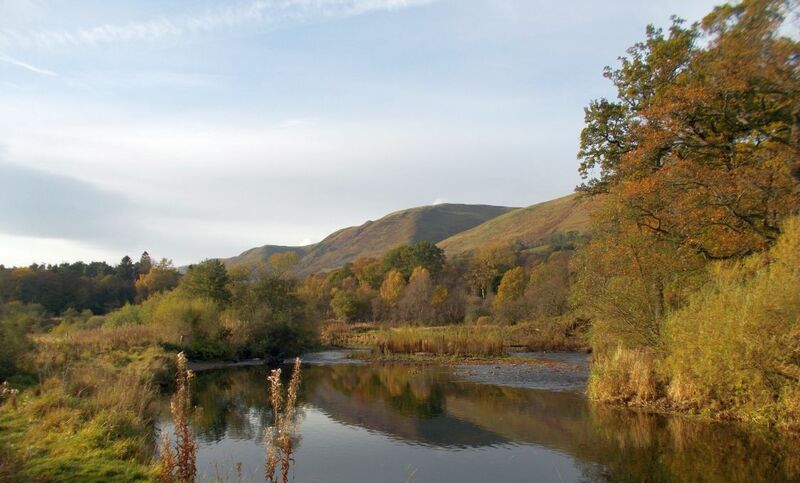 It was probably inevitable with very dry summer emptying the Ochils reservoirs and particularly Castlehill, meant much of the early autumn rain stayed in the Ochils in sharp contrast to the state of the river this weekend! The final weeks of the tout season saw some very large brown trout being caught. The season closed at Glenquey on the 6th October. During September and October 52 catch returns were left in the box, showing a total haul of 205 fish being caught with a total weight of 108lb [mean 3.9 fish/visit at mean weight of 0.52lb] including a few fish around 2lb. Endeavour to clear blockages and improve access in the Devon Gorge which is a major undertaking in a remote location. The Devon Angling Association AGM will take place on Tuesday 15th January 2019 at the Royal Arms, Tillicoultry. All members are welcome! This entry was posted in DAA News, Glenquey fishing, Glenquey journal, River fishing, River journal. Bookmark the permalink.